A discipline that applies the principles of Engineering, Physics & Materials Science for design, analysis, manufacturing & maintenance of mechanical systems. It is one of the oldest and broadest engineering disciplines, hence, known as "Mother" discipline. The scope of the Mechanical Engineering is continuously expanding beyond traditional boundaries and therefore, it enjoys the status of an evergreen discipline. Mechanical Engineers focus their attention towards new areas of research such as Nano Technology, development of Composite Materials, Bio-Medical applications, Environmental conservations etc. Mechanical Engineering aims at producing graduates ready to work in diverse multidisciplinary areas that are developing. The department provides excellent education in the application of the traditional blend of core areas of dynamics, vibrations, structural analysis, materials, thermodynamics, fluid mechanics, and heat transfer and control theory for the analysis, design and manufacturing of a wide variety of mechanical systems. The discipline also provides strong training in modern developments in product design, mechatronics, nano-mechanics, advanced materials, robotics, CAD/CAM, modern manufacturing systems, and computational analysis. 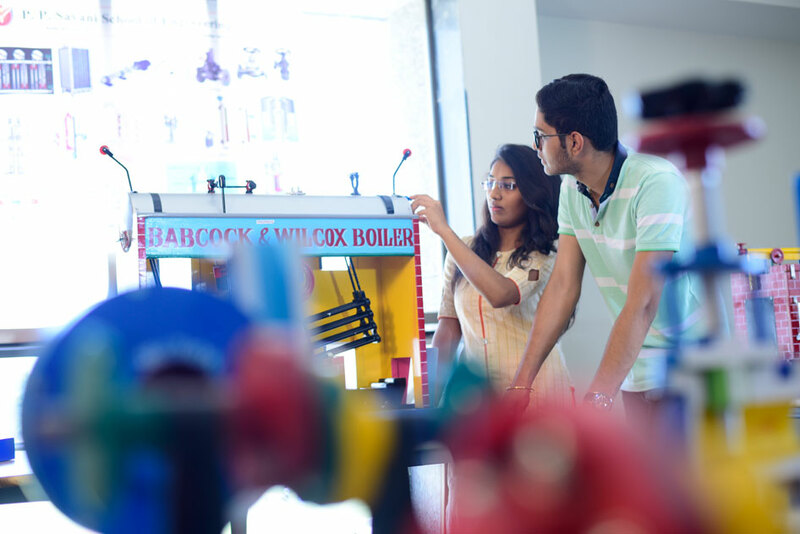 Specializations in Automobile, Aerospace, Renewable Energy Systems, Bio-medical Devices, Computational Engineering, and Systems Engineering are being introduced in the undergraduate curriculum. The students undergo extensive course work, project work, and laboratory experience during their studies. The Department faculty is a blend of people with an extensive teaching, research and consulting experience and others who are relatively recent graduates full of energy, enthusiasm and aspiration of an exciting and long academic career.